SOMERSET, N.J., Dec. 5, 2016 /PRNewswire/ -- Sunbird Software, a global innovator in software solutions that simplify how data centers are managed, today introduced the next iteration of its DCIM (Data Center Infrastructure Management) software. Release 5.2 expands the centralized, single-pane-of-glass view integral to dcTrack® DCIM Operations and Power IQ® DCIM Monitoring with enhancements that enable users to not only understand their most relevant data at a glance but also to act on it within the same interface. "Intelligent PDUs and other smart devices generate a significant volume and variety of data in data centers today, and data center managers are struggling to use it to their advantage," said Herman Chan, President of Sunbird Software. "DCIM 5.2 puts users in control of their data. Configurable dashboard widgets and other innovative features enable users to engage with data in ways they never could before, and they are able to do it quickly through a modern, responsive interface. When data center managers can stop wasting hours during the day sifting through spreadsheets and instead focus on the KPIs they need at the click of a button, the result is deeper, more actionable analytic insight that can immediately improve every facet of data center management." Release 5.2 features interactive dashboards built to accelerate data analysis. To help users get started, the dashboards are preconfigured for one-click access to common health, asset inventory, space, power, cooling, and connectivity metrics across the entire enterprise as well as specific data center locations. For a more customized experience, the drag-and-drop widgets enable users to optimize dashboard layouts and the order and size of their data visualizations for faster, more focused analysis. DCIM 5.2 also enables developers to harness the power of SQL to query ODBC tables and display organization-specific KPIs in custom widgets. Users can refresh entire dashboards or individual widgets to instantly access their real-time data without overextending resources. The responsive design ensures that users always have an optimal view of their data, whether they are accessing their dashboards through a desktop browser or a tablet, phone, or other mobile device. With relevant data surfaced in more visually interesting and intuitive ways, data center managers are more likely to engage with the data, discover ways to better utilize data center resources, and immediately implement these more efficient methods through the software. 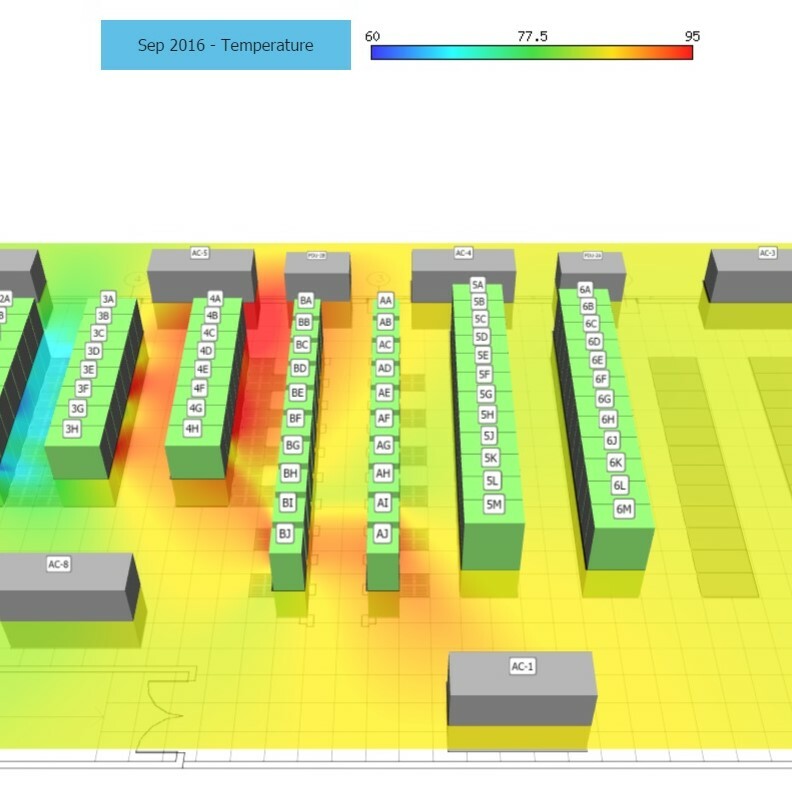 Similarly, the thermal map time-lapse video feature builds on the 3D visualization capabilities introduced in dcTrack Release 5.1 to improve uptime and energy and cooling efficiency. The time-lapse overlay leverages data from the environmental sensors deployed through the data center so users can easily detect hot spot formation in 3D. During the time lapse, any of the currently available power, environmental, and capacity visualization reports can be run to provide an additional dimension of data for more precise planning. The ability to select the most relevant data similarly extends to the information received by the DCIM software from PDUs, UPSs, and other network devices via SNMP traps. Release 5.2 includes functionality to filter out SNMP traps so users can reduce noise by discarding unwanted traps and receiving only the alerts that interest them. Users also can forward traps to building management systems for further processing and review. "The new interactive dashboards in Release 5.2, providing insights to health, assets, space, power, cooling, connections, and workflow, will streamline management practices, improve uptime, and reduce risk," said Greg Rutledge, Datacenter Manager, Houston Methodist Hospital System and four-year Sunbird DCIM software user. "Having access to all the information I need to manage my data center in a single-pane-of-glass dashboard makes it easier to achieve my data center objectives." New door security status and access request audit reports help data center managers keep track of whom has access to different areas of their data centers. Release 5.2 introduces support for physical cabinet and row/aisle containment security for supported devices, including the capabilities to manage permissions and request access from within the software. Having a single, centralized system for door access management enables users to save time, eliminate the stress and hassle of manually tracking access, and even meet HIPAA and other compliance requirements. "Our customers who beta-tested the cabinet door lock control functionality are already experiencing tremendous value added to their data center deployments," said Shawn Bai, Director of Engineering. "Managing door access remotely and viewing door status and access reports decrease the time required for access requests and boost productivity, but most importantly, these features provide an additional layer of security so our users can have peace of mind and do not have to worry about unauthorized access to cabinets within their data centers." In DCIM 5.2, the software's popular failover report, which simulates a power chain failure to help users accurately predict and identify at-risk cabinets without impacting equipment in use, has been enhanced to support cabinets with multiple PDUs and to allow users to create their own PDU failover pairs. When a failover scenario is simulated, the report now highlights the cabinets exceeding the redundancy threshold as well as those with the most and least available power capacity, allowing users to plan accordingly in case of a power chain failure and be assured of maximum uptime. "The capacity enhancements to the failover report resulted directly from listening to feedback from our customers," said James Cerwinski, Director of Product Management. "With data center capacity planning becoming increasingly complex, it's not uncommon to see racks with any number of PDUs. In DCIM 5.2, while we maintain the functionality to automatically pair PDUs without manual user effort, we also wanted to give users the flexibility to address nonstandard configurations unique to their own environments." For more information on DCIM 5.2, see the release notes available on Sunbird's support portal: http://support.sunbirddcim.com/. Sunbird's DCIM 5.2 software is expected to be generally available worldwide on a cabinet/month subscription or on perpetual license basis on December 30, 2016. For customers with valid maintenance contracts, the update can be downloaded from the support portal. For a test drive, visit http://info.sunbirddcim.com/dctrack-test-drive. Sunbird Software is changing the way data centers are being managed. Since 2008, Sunbird has been a leading global provider of DCIM software. With a focus on real user scenarios for real customer problems, we help data center operators manage tasks and processes faster and more efficiently than ever before, while saving costs and improving availability. We strive to eliminate the complexity they have been forced to accept from point tools and homegrown applications, removing the dependency on emails and spreadsheets to transform the delivery of data center services. Sunbird delivers on this commitment with unexpected simplicity through products that are easy to find, buy, deploy, use, and maintain. Our solutions are rooted in our deep connections with our customers who share best practices and participate in our user groups and product development process. Learn more today at http://www.sunbirddcim.com/. Any unreleased features or enhancements referenced in this or other press releases or public statements are not currently available and may not be delivered on time or at all. Customers who purchase Sunbird applications should make their purchase decisions based on features that are currently available.